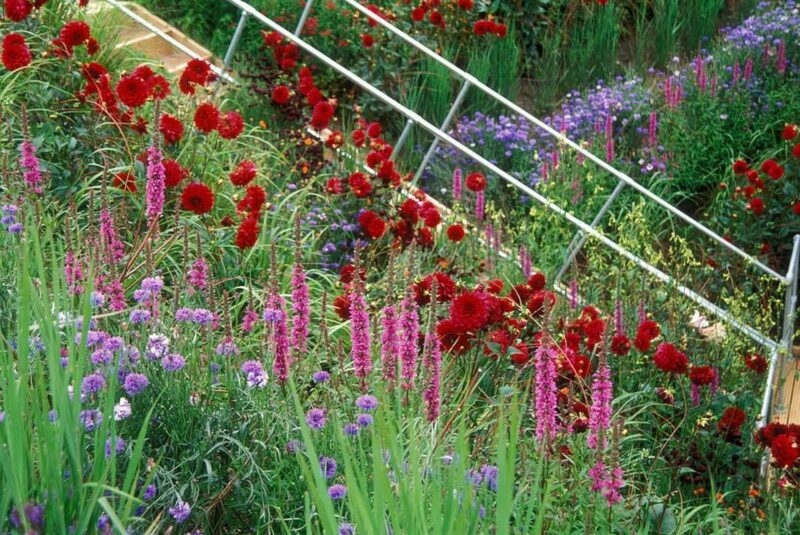 The first show garden I did was at the Chelsea Flower Show in 1999 and the second was this one. The Westonbirt Festival enjoyed a brief, but glorious, career between 2002-2004. The idea was to attract a slightly different sort of show garden and to let them stay on site for three months over the summer. This gave them room to grow and change which was a great idea and encouraged visitors to come back more than once. 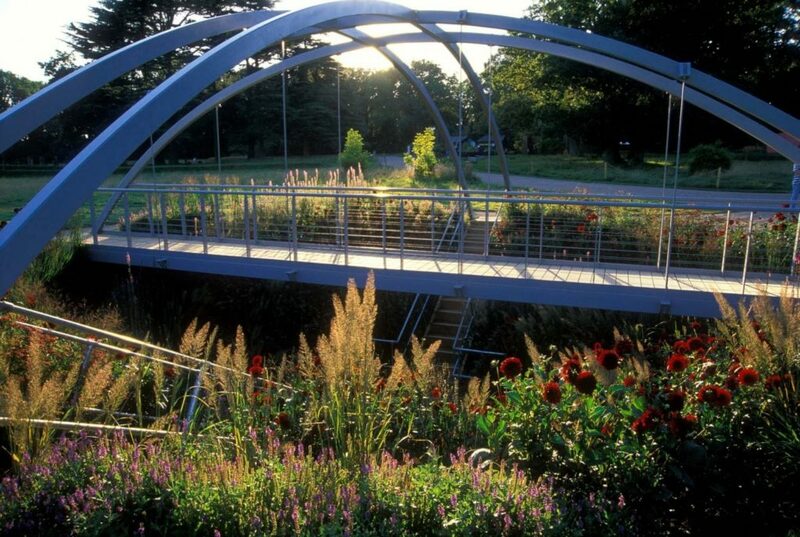 My garden was called the Hole in the Ground garden and was exactly that – a large planted hole spanned by a steel bridge. 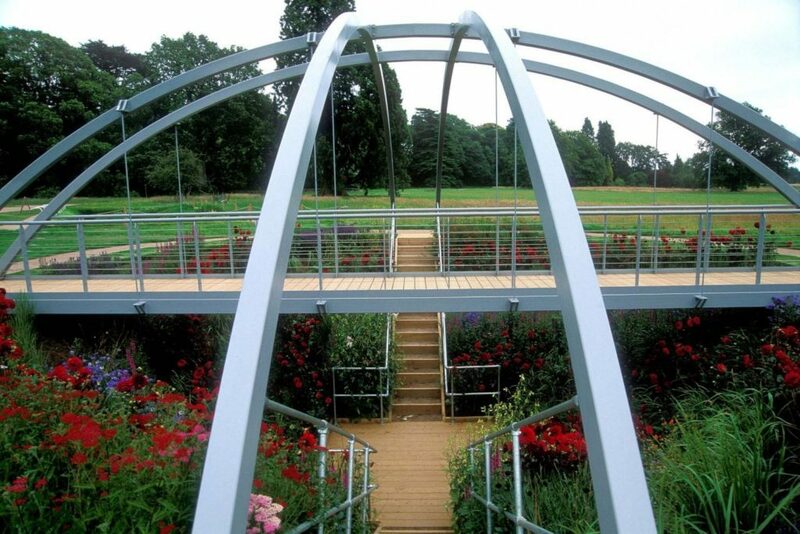 The visitor could either cross the bridge and look down into the abyss or go down the steps and look at the sky through the flowers. 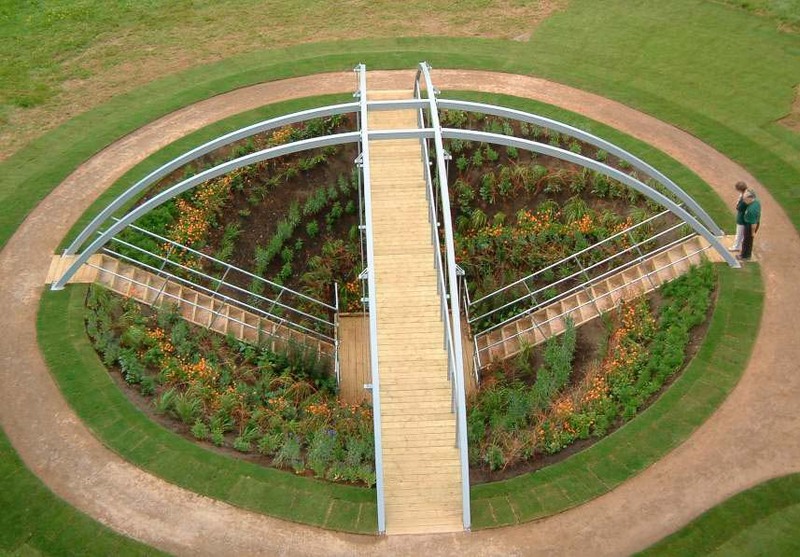 The planting was laid out in whirls to give the idea that you were being sucked down into a plughole. There were geums, dahlias, cornflowers, stipas and lilies so the mood changed as the summer progressed. It was great fun to do and we made a garden that was interesting and very pretty . There were no medals awarded or cups given out so nothing to boast about.